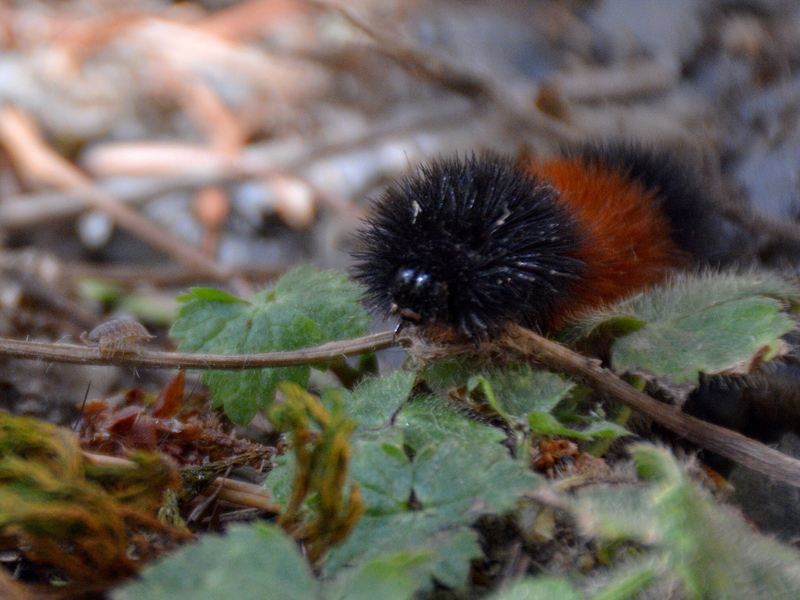 The Wooly Bear certainly must have more hairs on its body than any other caterpillar. I wonder if having such dense hair allows this species to have an acute sense of touch? Hairy sensory delight and an arsenal of defence. I have a fascination for how the colours and patterns get being reworked through metamorphosis and love to try and guess the matching larvae – butterfly / moth. I googled Patrick’s id isabella tiger moth amazing how the hairy critter transforms into such elegant couture. 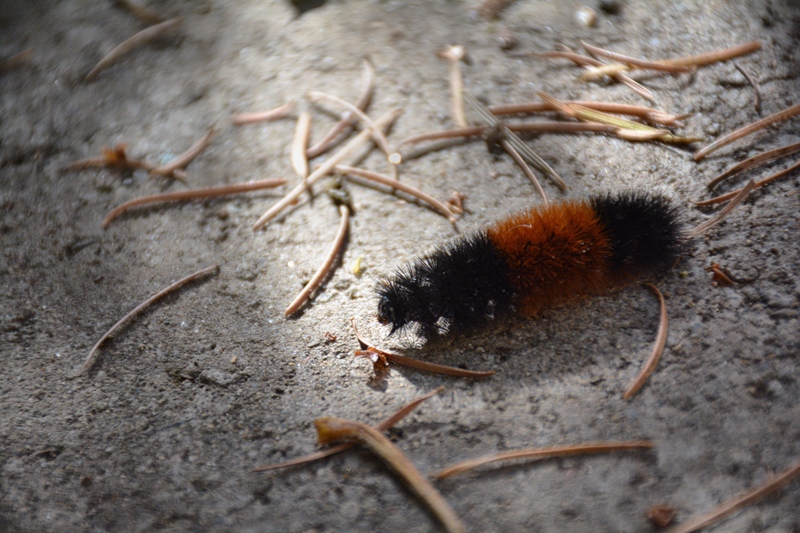 This seems to be the time of year for these little guys… there were three more on our front walkway yesterday afternoon. I agree, they are a curiousity. I discovered that they will become an Isabella Tiger Moth. Their spiny hairs are sharp and in some people can cause skin irritation. Does not sound like a tasty meal to me. Patrick, your additional information is much appreciated. No they don’t sound good at all.